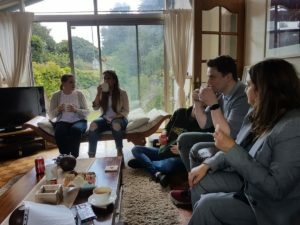 On 10 August 2018 the Law Clinic held its annual away day at our director, Kate Laverty’s, house. The purpose of the away day is to discuss the aims of the clinic for the upcoming year. All attendees took part in team building exercises, brainstorming ideas, debated how to improve existing processes and made important policy decisions, all aimed at continuing the success of the clinic. The overall aim of the Law Clinic is to provide access to justice to those who would otherwise go without; with this in mind, we used this as a starting point for our discussions. We analysed statistics gathered from both client and student feedback, focussing on changes we could make in order to maximise both the client and student experience when using/being involved in, the law clinic. Following these reports, participants were split into two groups and were given a workshop based on a perennial issue faced by the Law Clinic. These issues encompassed a wide range of areas including: client feedback, external connections, funding and student experience. Group 1 focussed on these areas in order to create a strategy for tackling any issues that had been raised. For example, when reporting on client feedback we discussed which aspects of our service are the most important to the client. This raised a variety of answers including ongoing and transparent communication. While Group 1 discussed the service we provide and the experience of our clients, Group 2 delved into the law clinics relationship with its student volunteers. Discussion centred on the goal of ensuring that each student who volunteers in the law clinic has the best experience possible, so that when Student Volunteers depart the Law Clinic, they feel they have truly made a difference to the people in our community. The University of Strathclyde Law Clinic enjoyed a successful night at the 11th edition of the Evening Times North West Community Champion Awards at Partick Burgh Hall. 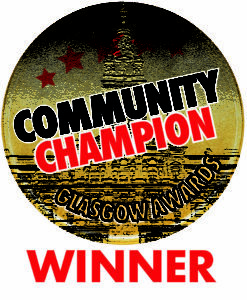 With Strathclyde Law Clinic jointly winning the “Public Services Award” alongside Glasgow Caledonian University Law Clinic. 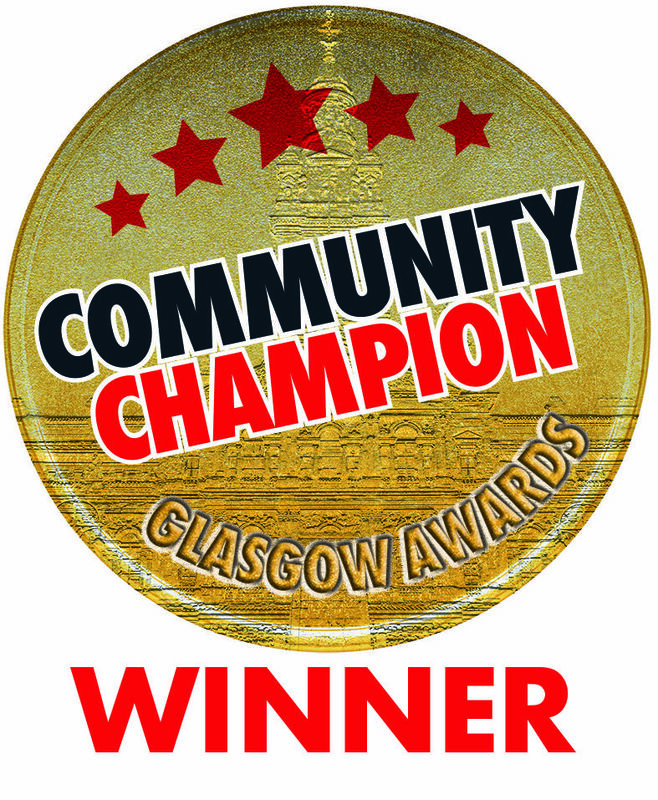 Held on Tuesday 2nd October 2018, the Awards celebrate ordinary people who do extraordinary work in Glasgow and the surrounding areas. 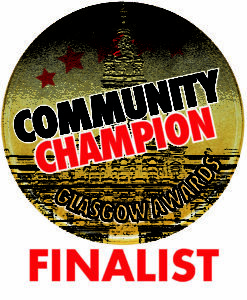 Also nominated in the Public Services Award category was: Anne Marie Robertson Dryburgh, who has successfully run older people’s social project ‘Alive and Kicking’ for more than 30 years; And: Glasgow Caledonian Law Clinic, who have achieved fantastic success through the provision of access to justice within Glasgow. This award is a testament to the tireless hard-work and dedication that all our student advisors put into their Law Clinic work. Helping to provide access to justice to members of the community who would otherwise go without. 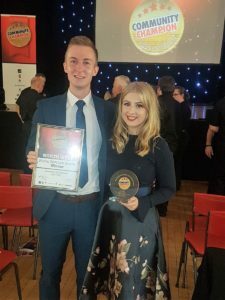 We are delighted to announce that The University of Strathclyde Law Clinic has been shortlisted as a finalist in the category: Herald Society Team of the Year – for The Herald Society Awards 2018. The awards will be presented at a formal awards dinner on the evening of Thursday, November 1, 2018. Over the summer months I have been able to see the full extent of the fantastic work that the Law Clinic does on a daily basis. During term time it is easy to focus only on the cases you are personally involved in, however the summer placement has allowed me to see the full spectrum of cases that the clinic takes on. Each day in the clinic is different but it is always guaranteed to be busy. The bulk of my day is spent on case work – normally student advisors would have one or two cases, however my case load has risen to nine to ensure cases don’t fall through the cracks during the summer, so there is certainly lots to do. I usually start my day by setting out which tasks I should prioritise for the day ahead, paying special attention to any urgent matters or clients who should be contacted. Even a well-planned day could be turned on its head at the arrival of a letter from a client, respondent or even the Employment Tribunal but this keeps every day interesting! As this is my first year in the clinic, my summer placement has enabled me to become more familiar with all the clinic staff and dedicated student advisors. Sharing thoughts and opinions on cases has been a great way to improve and refine my work in the Law Clinic, make great friends and improve my ability to provide access to justice. Every year the Law Clinic provides a group of students with the opportunity to work during the summer holidays. The Law Clinic supports clients throughout the year and it has been extremely rewarding to be able to ensure that clients continue to receive high quality support during the summer period. 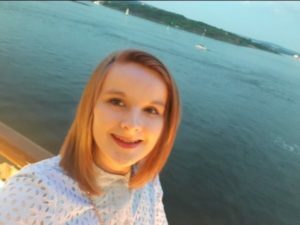 As a summer student I have undertaken a variety of work and it has been an excellent opportunity to not only help clients with their legal concerns but also develop my skills in legal research. As part of the Housing Advice Under One Roof project, I have been one of the students responsible for researching the new Housing and Property Chamber of the First-tier Tribunal for Scotland and creating accessible resources on how to engage with this new remedies forum. 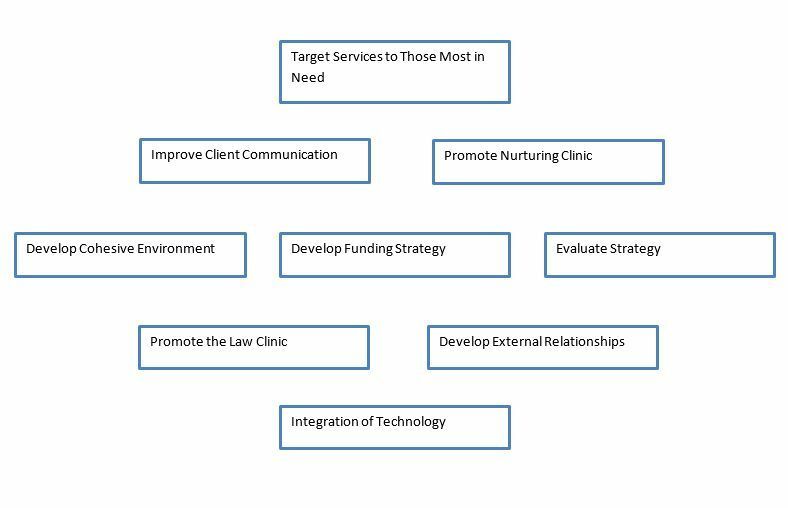 I am also the new Initial Advice Clinic project manager and have spent time over the summer developing a strategy for the year ahead. 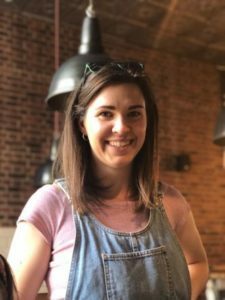 Helping to ensure that access to justice is a reality rather than only a theory was the reason that I wanted to pursue a career in the legal sphere and I am extremely grateful for the opportunities that I have been given whilst being a member of the Law Clinic. 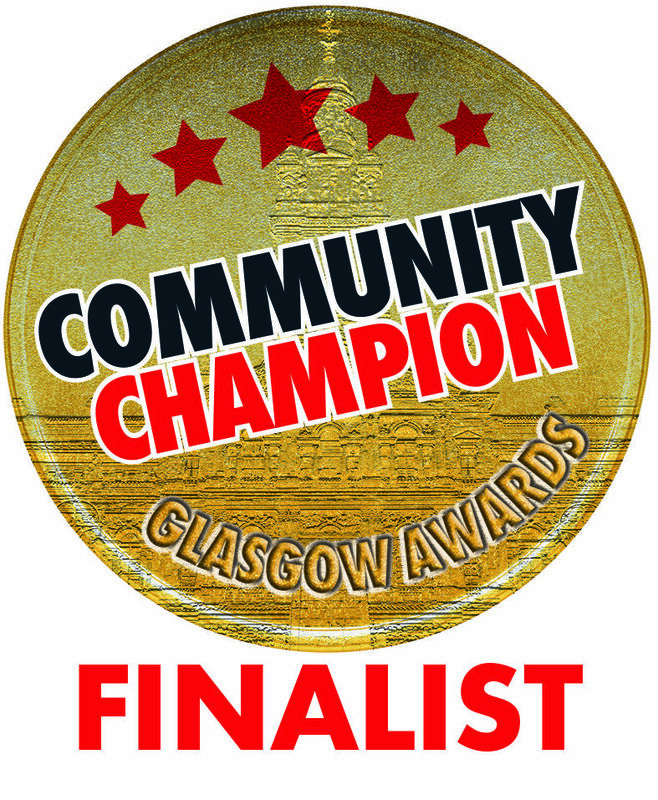 We are delighted to announce that The University of Strathclyde Law Clinic has been selected as a finalist in the Public Services Award category for the Evening Times Community Champion Awards 2018 – North West. The winners will be announced at the ceremony which is taking place on October 2, 2018. 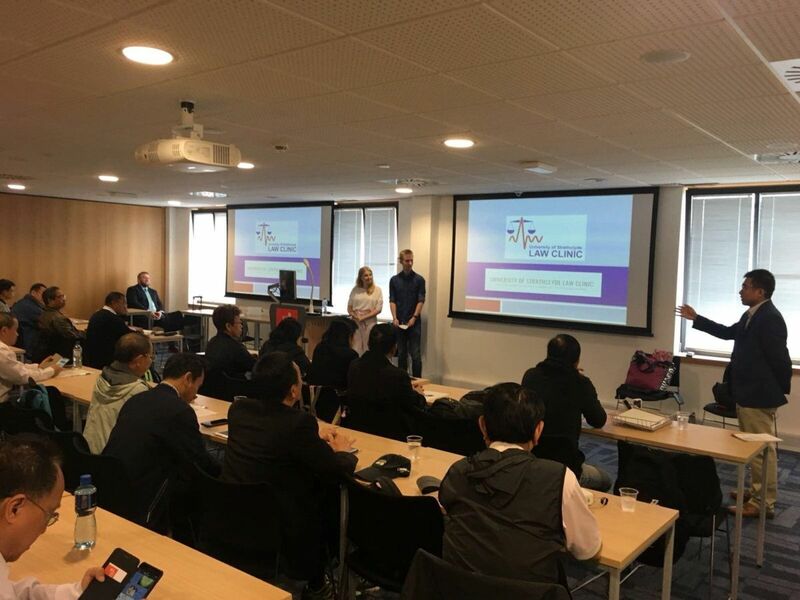 The University of Strathclyde Law Clinic was given the unique opportunity to present the Law Clinic to thirty-five senior Judges, including several members of the Supreme Court, from Thailand. The event, organised by Paul James Cardwell, a Professor in the Law School, was part of a two week trip and aimed to provide the Thai Judges with an insight into the University of Strathclyde Law School and aspects of the Scottish and English Legal and Criminal Justice Systems. While on a trip to the Sheriff Court, one of the Sheriffs discussed the Law Clinic with the Judges who expressed an interest in learning more about the Law Clinic. 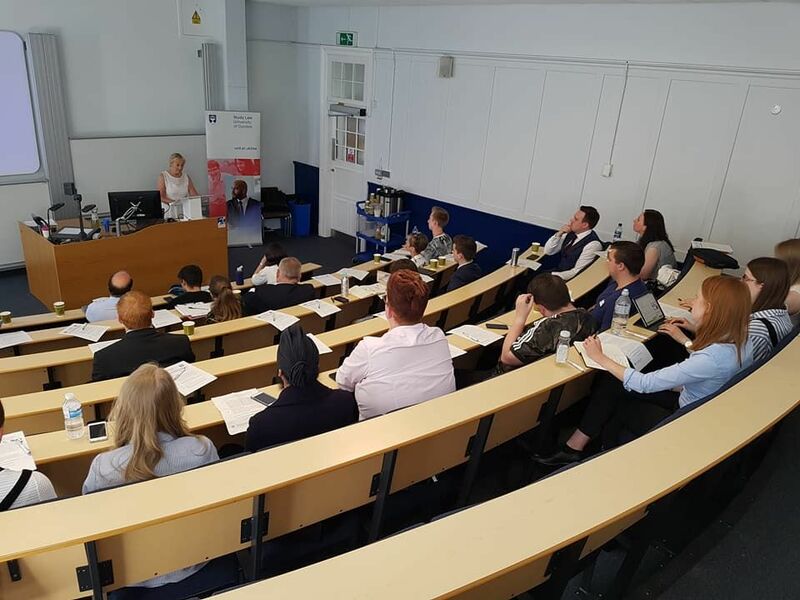 James Anderson and Kirstie Webb, Student Directors of the Strathclyde Law Clinic, volunteered to provide a presentation to the Judges, aimed at describing the work the Law Clinic carries out, how it operates and students involvement in the Clinic. Dr Supakit Yampracha, one of the judges who coordinated the visit and who is a former PhD student at Strathclyde Law School, said, “It was a great opportunity for the visiting judges to hear about the work of the Law Clinic at Strathclyde. 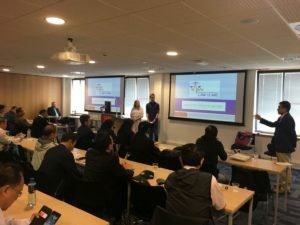 We do not have Law Clinics in Thailand, so it was very interesting to hear how the students and staff at Strathclyde have developed their role in helping people in Glasgow”. To keep up to date with the Law Clinic please follow us on social media and check out our website. 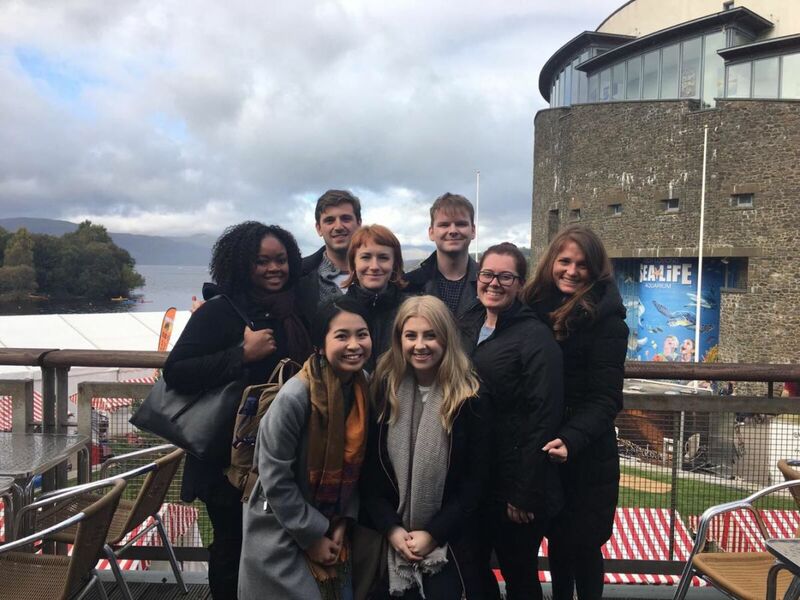 Four students from the University of Strathclyde Law Clinic have recently returned from an educational exchange with the University of Miami Law Clinic. 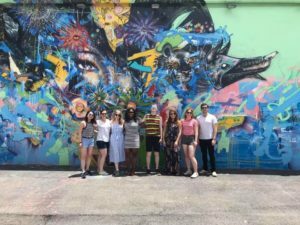 Kirstie Webb, Michael Ballantyne, Laura Cheng and Alice Bowman spent four days in May absorbing the work conducted by the students of Miami’s Clinic. Arriving on Sunday 20th May, they were treated to a welcome dinner at Montys Raw Bar then headed to the hotel for the night. The students were introduced to the Health Rights Clinic, which is a specialist clinic, time was then spent on finishing off presentations. On Tuesday May 22nd, the students got the chance to see client intake at the South Florida Aids Network where they sat in on client meetings. Laura said: “I really enjoyed sitting in on Miami’s Clinic’s equivalent of initial interviews at the hospital; their clinic specialises in health rights, immigration and adjustment issues, social security and benefits, which I thought was really interesting, and something a little different to Strathclyde.” The group had some spare time in the evening to explore the sights and sounds of Miami. 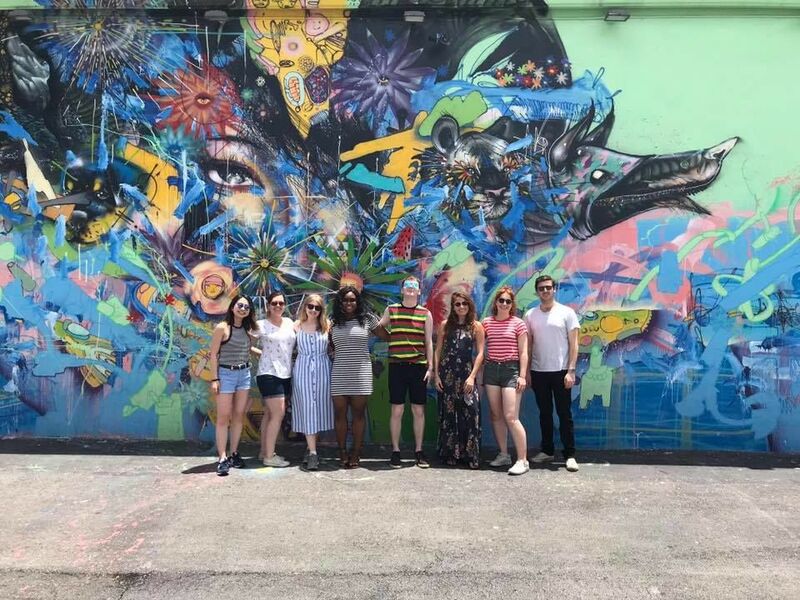 On the last day of the exchange the students experienced the cultural side of Miami. They took in the street art/graffiti on the Wynwood Art Walk. They had a farewell dinner at Tap Tap Restaurant and enjoyed a last night with the students. 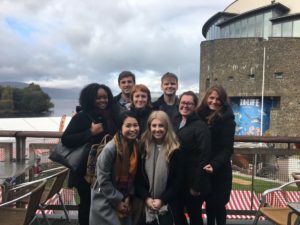 A recent event attended by representatives of the Clinic was the annual Scottish University Law Clinic Network Conference (SULCN). The conference was held in Dundee, and was attended by new Student Director James Anderson, and Director of the University of Strathclyde Law Clinic, Kate Laverty. The afternoon was filled with passionate speakers who all wanted to share their ideas and promote the general positive progression of law clinics across Scotland. One main theme of this year’s conference was how ever more important technology is becoming. This discussion led to ways to learn from other fields and help law clinics provide even better access to justice. The opening keynote address was provided by Mike Dailly of Govan Law Centre who talked about how to use new technology and partnership working to find solutions to social problems, and how the law must be used to fight for social change. With a particular emphasis on ‘self-help legal kits’, providing the public with the legal information they need. Malcolm Combe and Pippa Robertson discussed the Scottish University Land Unit (a partnership with Development Trusts Association Scotland and law students, which is currently running a pilot at the University of Aberdeen). The Scottish University Land Unit or ‘SULU’, aims to support community bodies in exercising their community rights in respect of land. Sarah Webb informed us of an exciting partnership between University of Abertay students and Police Scotland seeking to resolve cold cases of missing persons; before Malcom Combe returned to discuss the new “pro bono expenses orders” which can be used where someone has been represented in legal proceedings for free. Alison Atack, the new president of the Law Society of Scotland, delivered the closing address, and the society also generously supported the event. Proceedings on the day were co-ordinated by Liz Comerford of the University of Dundee. James said: “The most valuable advice I gleaned from the afternoon can be summarised in one word: simplicity. Now, more than ever, the general public is expected to self-represent for parts if not all of the legal process. In a point stressed eloquently by the new President of the Law Society, Alison Atack, a crucial skill that every student should develop is the ability to explain legal issues and give advice simply and effectively. I was delighted to share the progress of the Employment Tribunal project currently under development at the University of Strathclyde Law Clinic and felt reassured that the vision behind this style of project is shared with Law Clinics across Scotland. SULCN is an annual event which provides Law Clinics across Scotland the opportunity to share experiences, ideas, relevant news and developments and the opportunity to network. “The Law Clinic is delighted to announce its latest project – Housing Advice Under One Roof – which aims to explore engagement with the newly established Housing and Property Chamber of the First Tier Tribunal for Scotland. Throughout the summer, research will be undertaken in order to understand this new remedies forum and the changes arising from its creation. This research will not only help facilitate vital training for Law Clinic staff and volunteers but will also result in the development of accessible resources for those seeking to raise legal proceedings through this new forum.